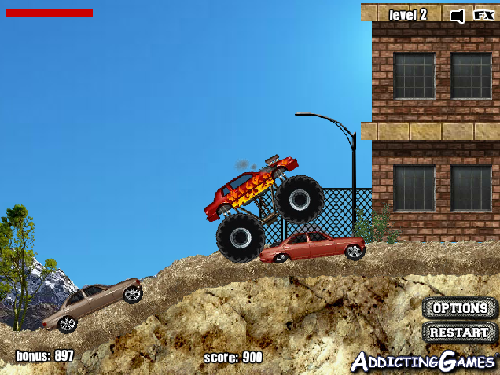 Description What's the point in driving a monster truck if you can't wreck stuff? Crush pathetic automobiles with your big, mean truck. 24 levels full of victims! Controls Up/Down to drive. L/R to tilt. Space bar to jump.